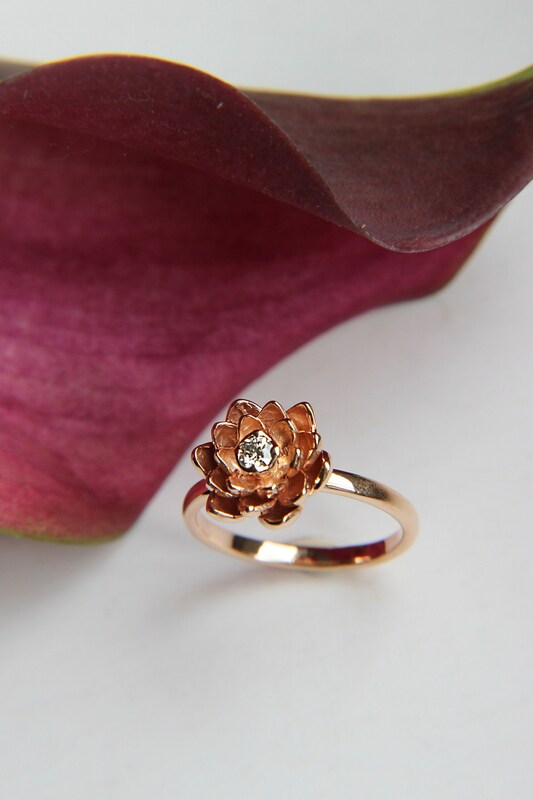 This beautiful gold flower ring is an ideal romantic love gift for the special women in your life. 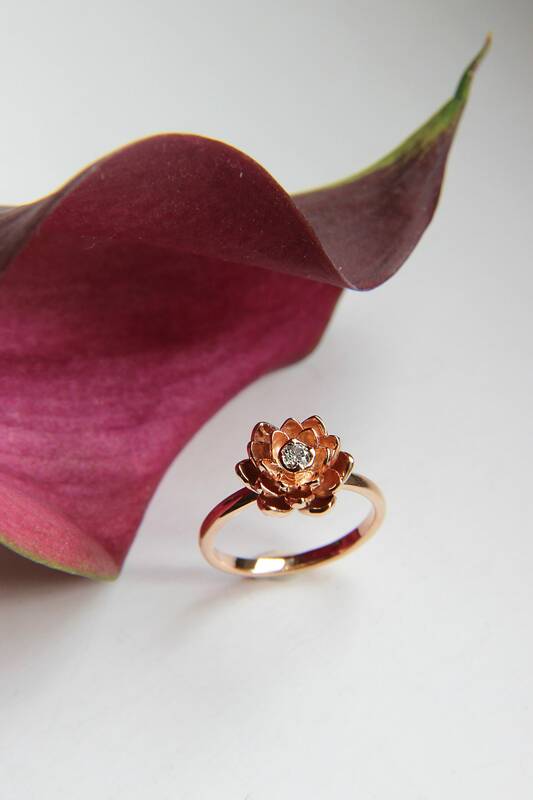 The unique and delicate ring is made of rose gold and adorned with natural 0,1 ct round cut diamond. 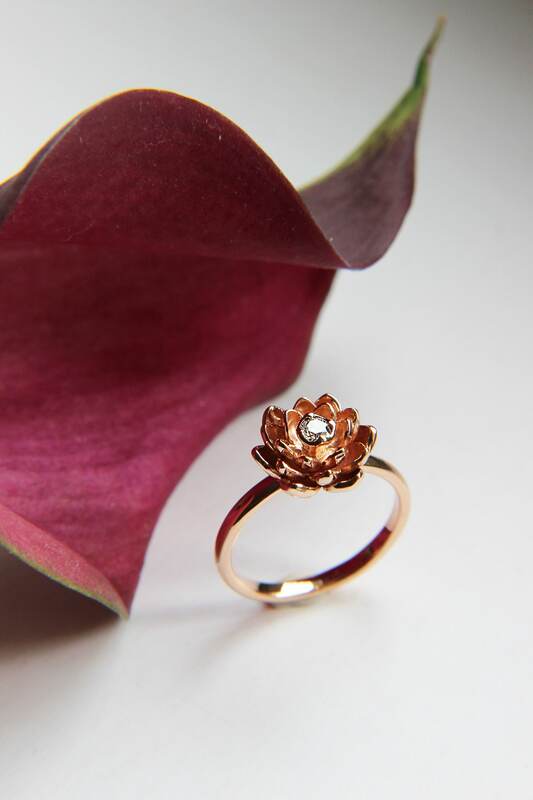 Gold lotus ring is hand-sculpted from the solid 14K gold sheet. 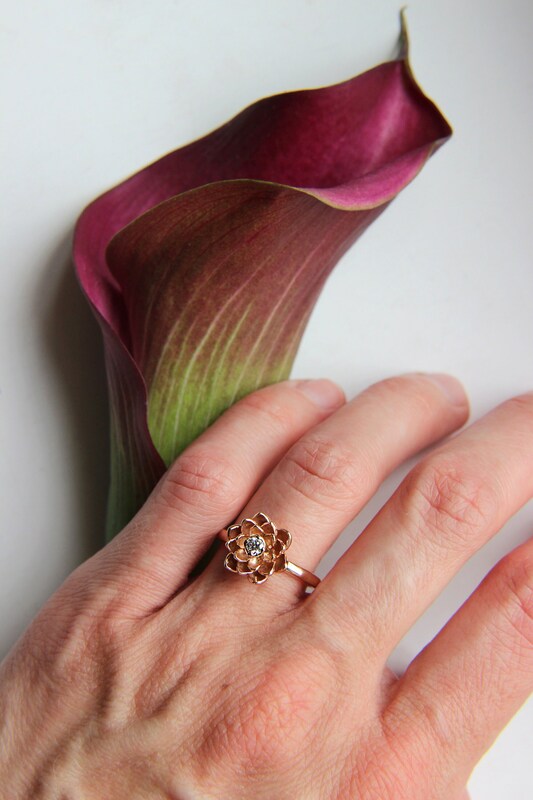 This lotus engagement ring features the botanical design with several layers of petals and beautiful high-quality diamond. 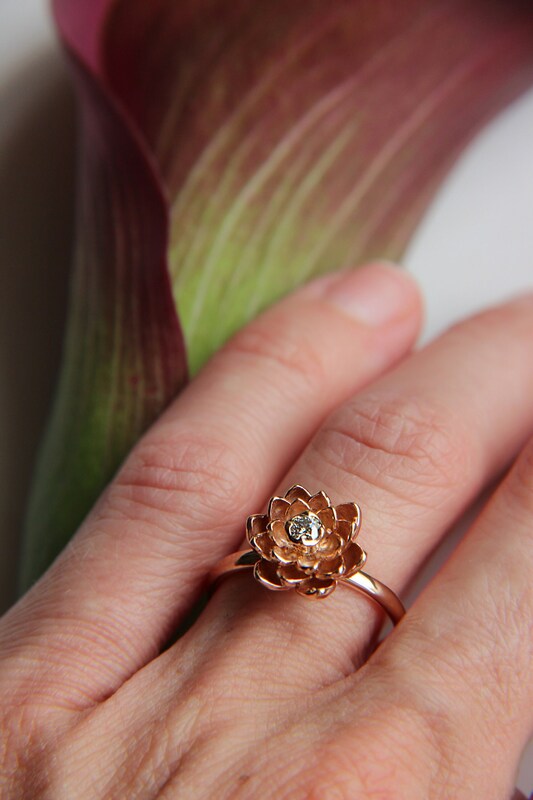 The flower looks very delicate but the ring is sturdy and non-catchy. 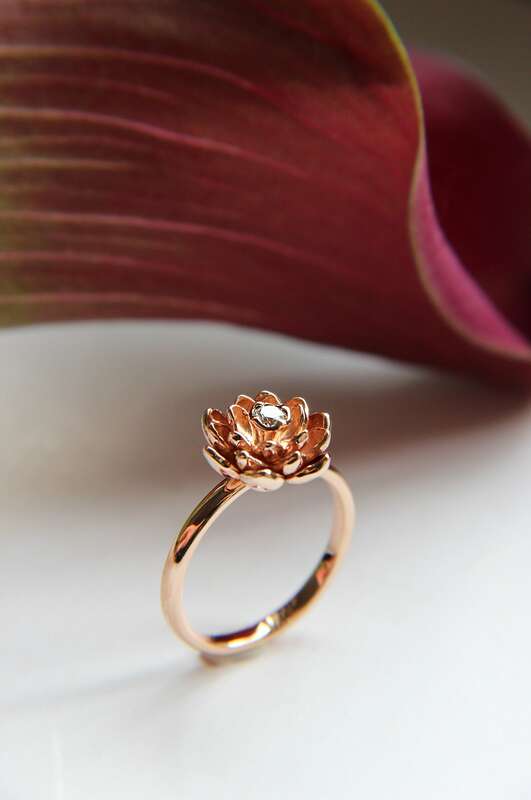 Our floral golden jewelry is for sure gives a sense of exclusivity for connoisseurs of original style, rarity, and effect. 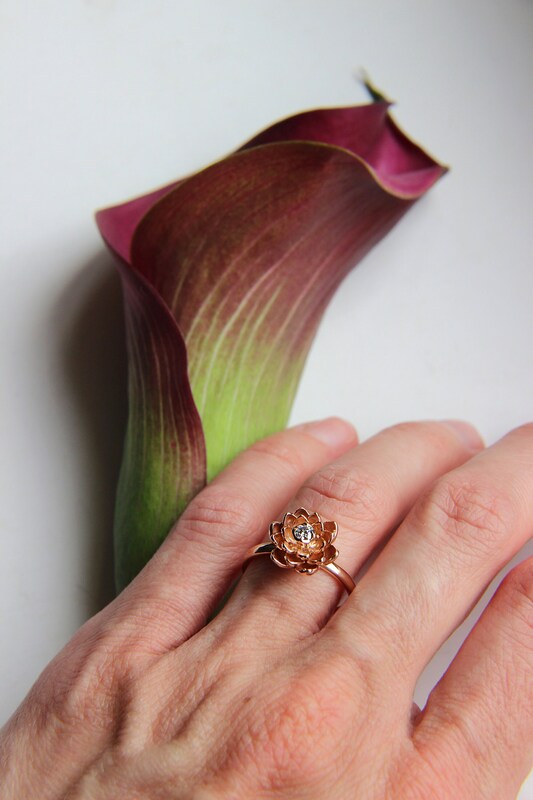 If you are looking for a proposal or engagement ring or just very memorable gift this rose gold ring with the diamond is the best choice. 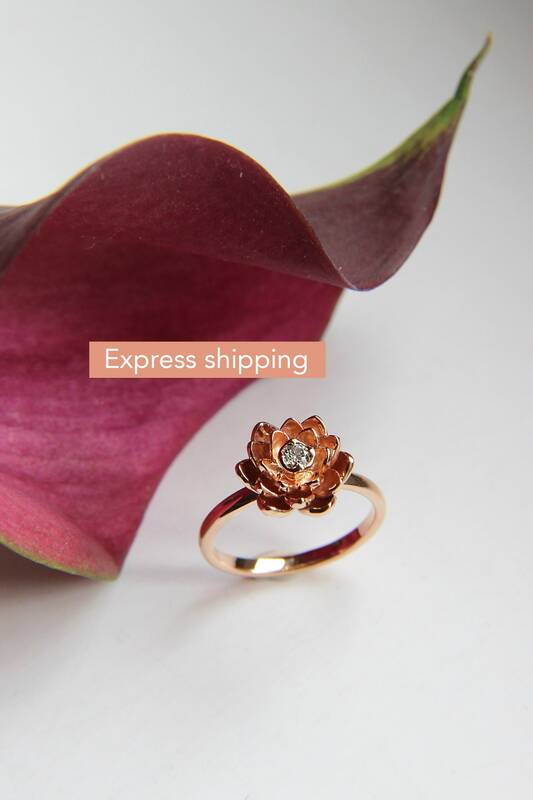 - made to order in any size. - starting from 2 weeks. If you are in rush please contact. 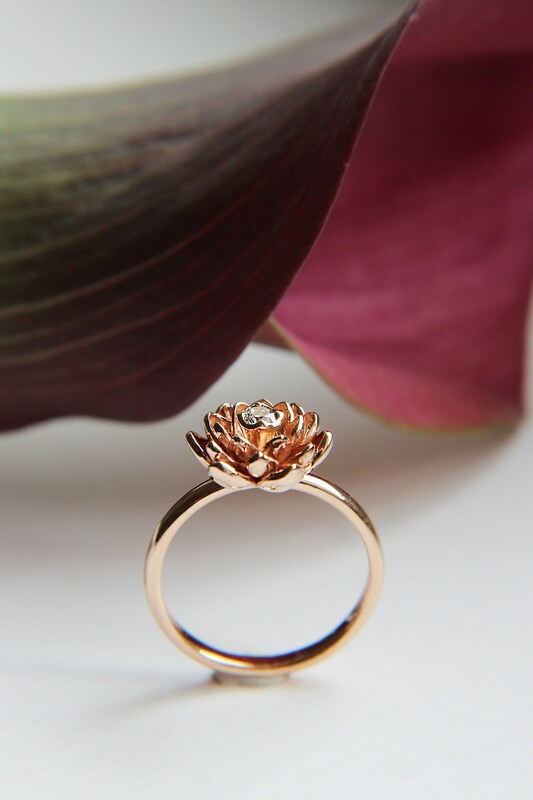 - available in red, yellow, rose or white gold (with rhodium plating). Pictures show red gold version.